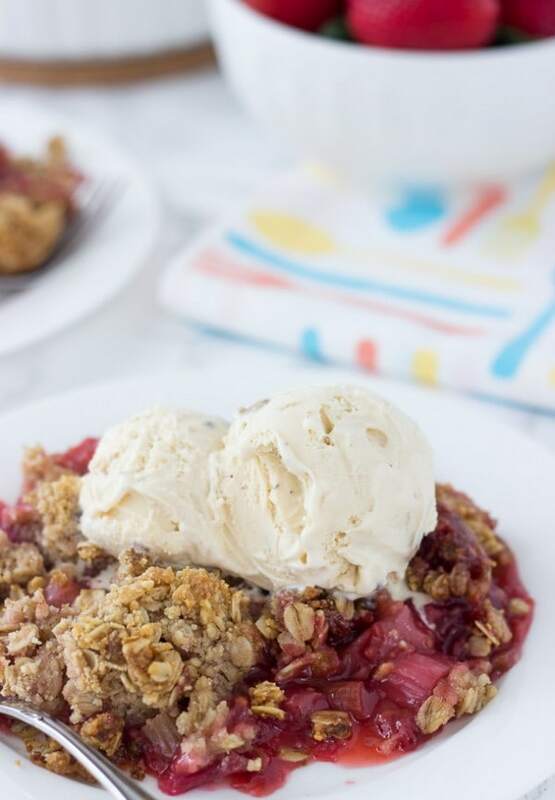 This strawberry raspberry rhubarb crumble is bursting with sweet and tart juices on the inside and topped with a gluten-free coconut oatmeal crumb topping. Today is the last day of strawberry week! 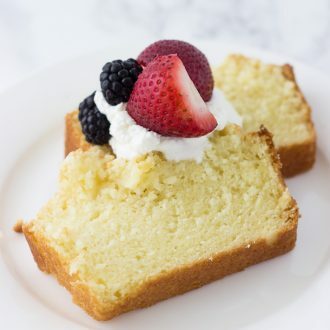 I hope you guys have enjoyed the recipes (here and here) I’ve shared this week and you are excited to grab (or pick) some strawberries to get baking. I might have saved the last for best because this strawberry raspberry rhubarb crumble is to DIE for. Weekends = pie baking right? Did you know it’s rhubarb season?? I love me some rhubarb and always get excited when I see the first signs of them at the farmers market. This past trip to the market, I was greeted by loads of rhubarb and I obviously grabbed a few bunches from the lovely Amish stand where I get hand pies (aside: their hand pies are AMAZING!!). There is a reason why the classic strawberry-rhubarb combination is so adored. It’s just the perfect combination of juicy sweet strawberries and tart rhubarb. Love it and why I went that path with my first rhubarb purchase of the season. Last year, I made a classic strawberry rhubarb pie but this year I went the easy, yet fulfilling route of a crumble. I tossed in some raspberries as well because I had way too many (seriously, I am a berry junkie at this time of the year). 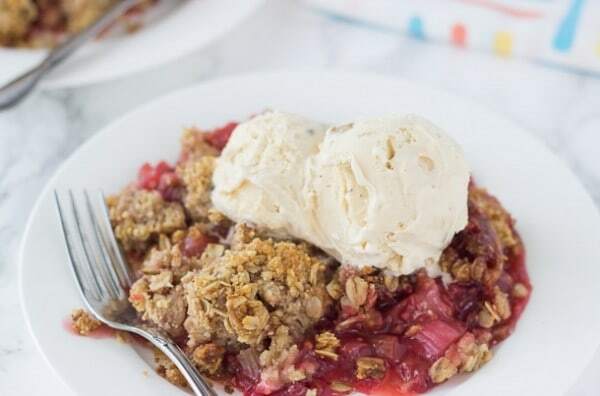 This strawberry raspberry rhubarb crumble is ridiculously perfect. OK maybe not picture perfect but I mean it’s seriously perfect. Bursting with sweet and tart juices on the inside, I topped it with a coconut oatmeal crumb topping, inspired by my friend Marcie. 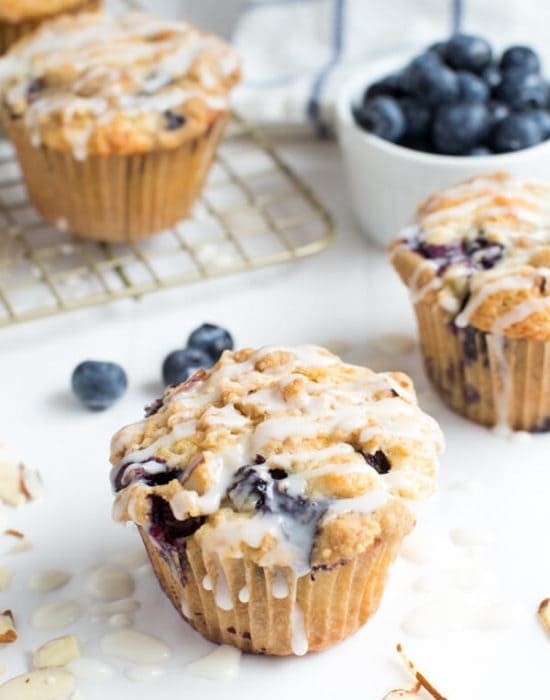 The topping is made with crunchy oatmeal, brown sugar and coconut oil instead of butter. I made the topping gluten-free by using coconut flour I’ve been meaning to experiment with and a little bit of almond meal. 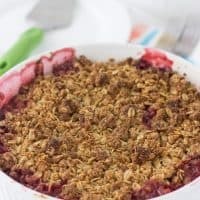 I love the subtle hints of coconut and almond with every bite of this berry-rhubarb crumble. 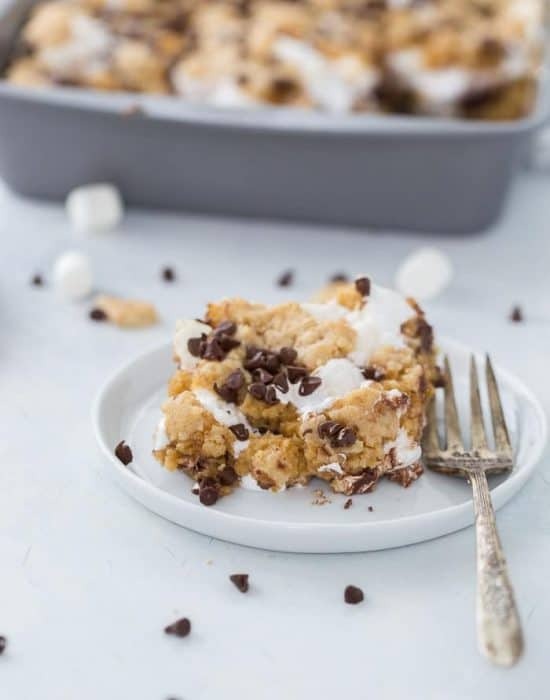 I think this is one you should keep on your summer baking bucket list because it just screams summer!! And there you have it friends!! Strawberry week has come and gone but be rest assured I will still be baking and enjoying more strawberries in season. Have a great weekend! Preheat oven to 375 degrees F. Grease a 3-quart round or rectangular dish. In a large bowl, toss the ingredients for the filling until just combined. Make sure all the cornstarch is well tossed. Set aside while you make the topping. In a medium bowl, combine the rolled oats, coconut flour, almond meal, sugars and salt. Add in the melted coconut oil and mix until clumps form. You can use your hands to mix the mixture and clump some together. Transfer the filling into the prepared dish. Cover completely with the topping. 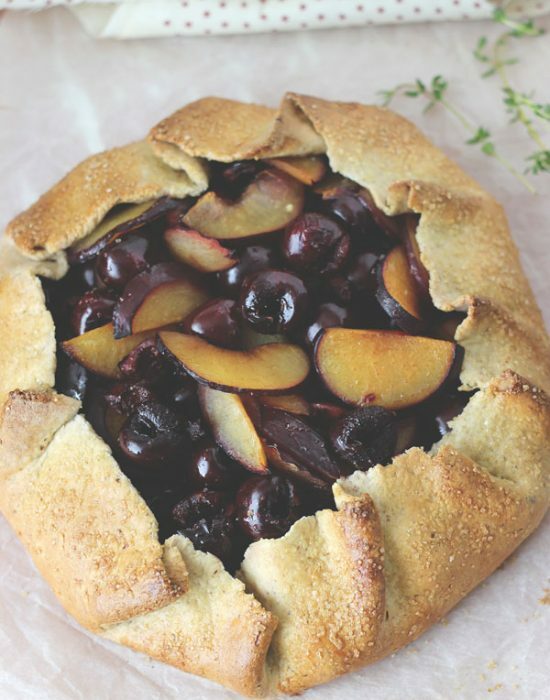 Place the baking dish onto a baking sheet and bake for about 70 mins, or until fruit is bubbly in the center and edges and topping is golden brown. If needed, cover the baking dish with foil for the last 30 minutes of baking. Let crumble cool on a cooling rack until warm. Serve warm with a scoop of ice cream. We are kindred spirits, I tell you!! Hope you have a great weekend! 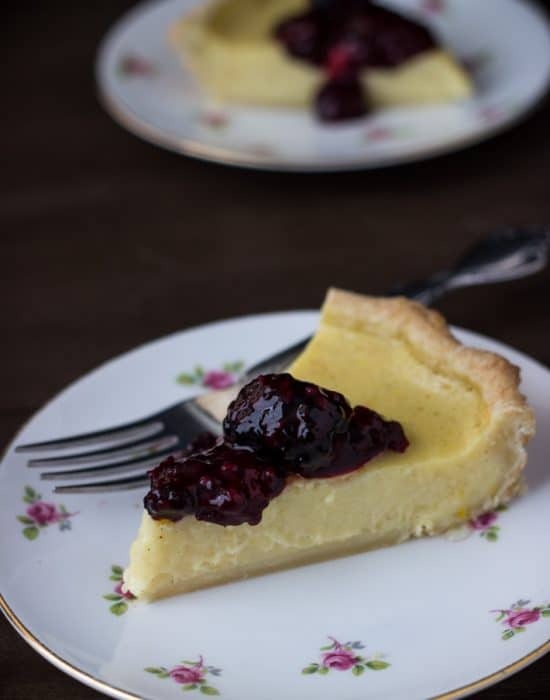 Easy and delicious summer dessert! I don’t know how I’ve gone this far into Spring/Summer without making a warm fruit dessert (to obviously serve with lots of ice cream). It doesn’t get better than these summer fruits! I am all about the warm fruit desserts this summer. I can’t get enough. 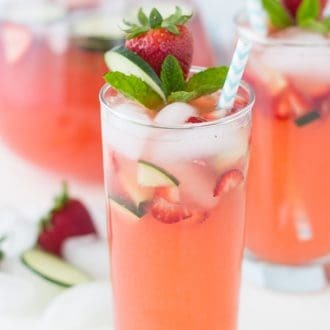 Seriously, the strawberry-rhubarb combination is perfection for summer!!! I love these crumbles!!!! DELICIOUS!!! Thanks Alice! Have a great time at EWR! Strawberry and rhubarb go amazingly well together! 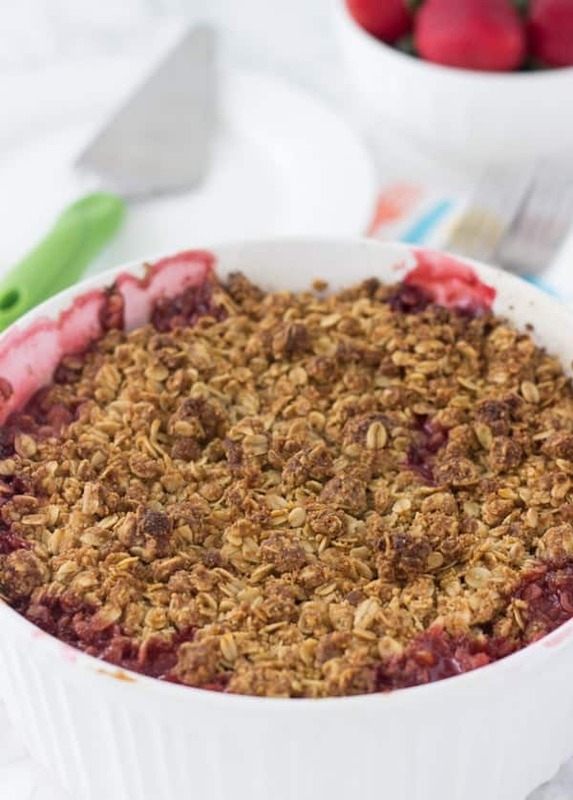 Loving this summery crumble! They really do!! Thanks Jen. Hope you have a great weekend. 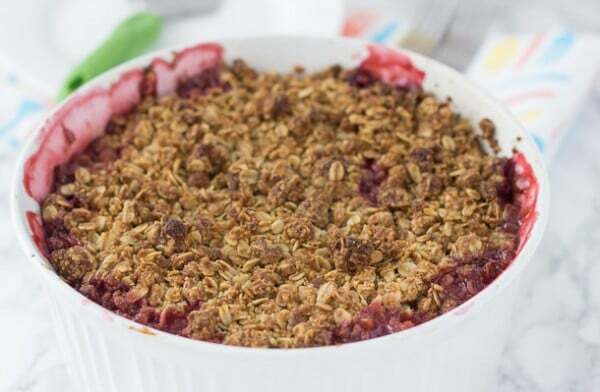 This crumble looks absolutely gorgeous! I love the rhubarb in here. I can’t get enough of that during the summer! Sounds delicious! I loved your strawberry week, and what a perfect way to end it! This is just the most perfect summer dish ever, and I love that you threw in some raspberries too – yum! I’m on my way home from my trip, and a crumble is on my to-bake list this weekend!! Thanks Cate!! I can’t wait to see the vacation pictures from the Better half. I love the strawberry rhubarb combo! Can you believe I have never bought rhubarb in my life? This needs to change!! What? You need to change that!! What a lovely combo of strawberry and rhubarb! This crumble looks absolutely stunning!! Ahhh, I love sweet good-byes! And this my friend, is a sweet ending! Have a wonderful weekend Zainab! Hahha this is a sweet goodbye indeed! Thanks kelly! I had fun with strawberry week too!! Oh delicious! I just love crumbles for dessert but I really don’t have a go-to recipe. I will have to try this one! Yum! Let me know if you do!! It’s just amazing! !